What goes through your mind when you hear those opening notes? Fear? Do you get goosebumps? Are you reminded of that haunted house you went to last Halloween or the chilling 1962 version of the Phantom of the Opera? We’re not sure that inflicting horror was Johann Sebastian Bach’s intention for his Toccata and Fugue in d minor, but that’s certainly how it’s been used over the last century. To help change your perception of the piece so you can listen anxiety-free, we’ve compiled a list of less frightful and more awe-inspiring performances of Bach’s Toccata and Fugue. While the piece was originally written for organ, check out how incredible it sounds when played on other instruments. 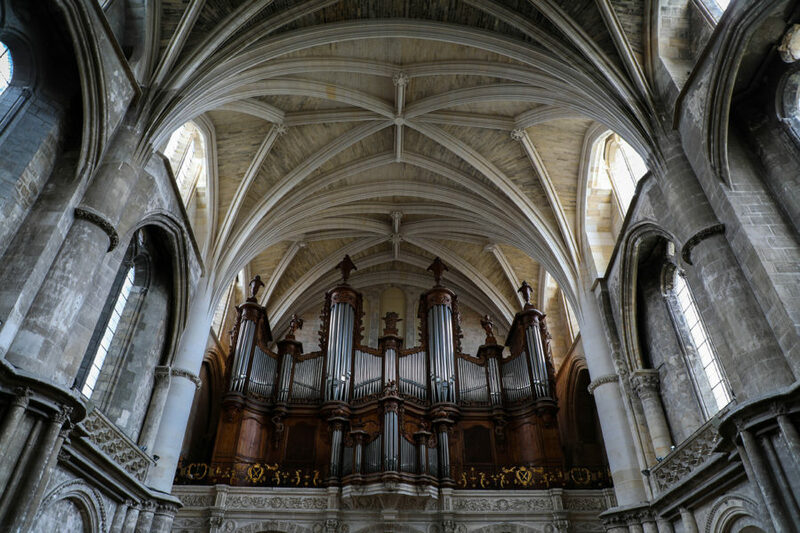 The Toccata and Fugue remains the most popular organ piece in the repertoire, so there’s no better way to start off this list than with a beautiful performance on an 18th-century organ in central Germany. Disney’s iconic film Fantasia opens with an entire scene based around Bach’s T&F, with a gorgeous orchestral arrangement by conductor Leopold Stokowski. The feature led to a resurgence in the piece’s popularity. Frightening no more! Watch this heavenly performance by harpist Amy Turk. Heavy Metal musicians are often huge fans of classical music because of the deep emotion and virtuosic possibilities of each genre. Watch guitarist Dan Mumm completely shred in this version, complete with a rockin’ drum track! Before you cue the cruel, cruel accordion jokes, just remember that it’s basically a portable organ so it fits perfectly with the Toccata and Fugue… and almost inside of a San Francisco apartment. A theory suggests that the piece was originally written for violin and later transcribed to organ. Here’s what that would have sounded like. There’s an old African proverb that says: “If you can talk you can sing, if you can walk you can dance.” So now that you’re dancing, why not just play Bach’s Toccata and Fugue on a humongous Floor Piano!